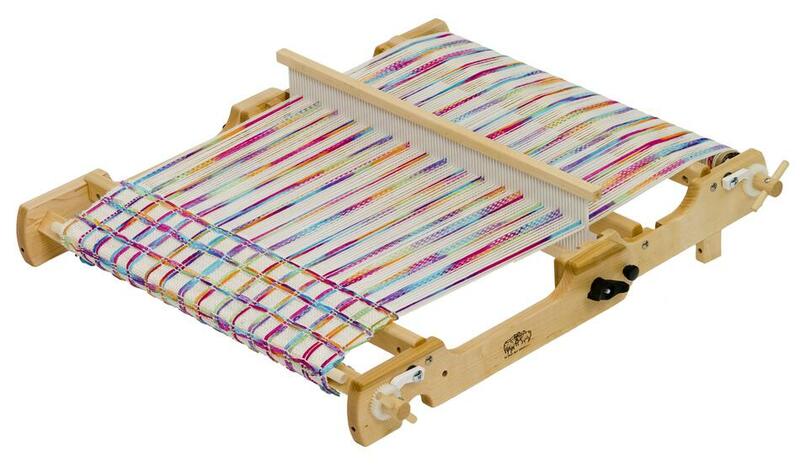 Flip, the folding loom is a dream to weave on, folds in a jiffy, is easy to warp, and incorporates accommodations for two-heddle weaving that finally makes sense and really works. 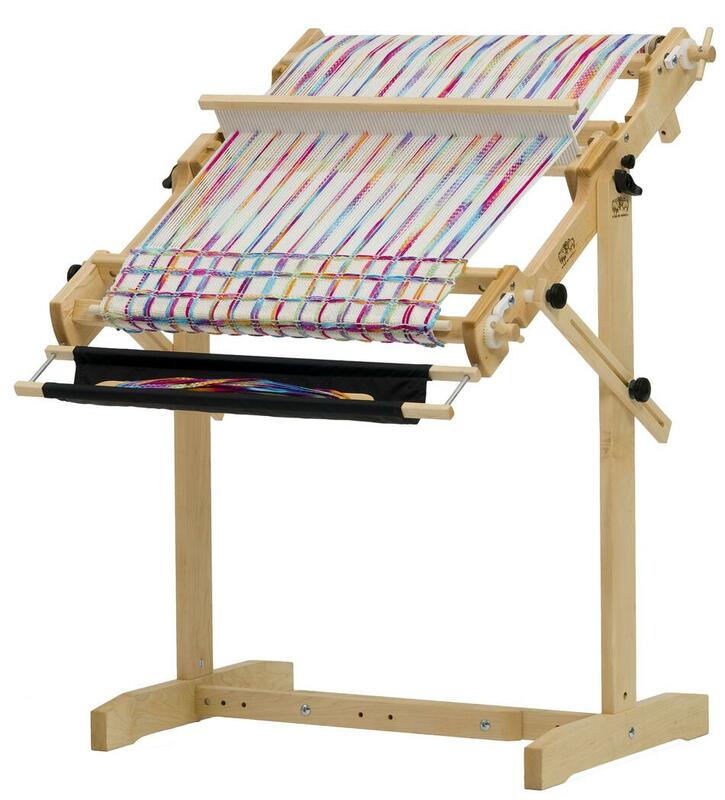 Portable and allows you to weave by leaning Flip against the table, on top of the table using its legs and table clamps, or you can use it with the trestle floor stand. 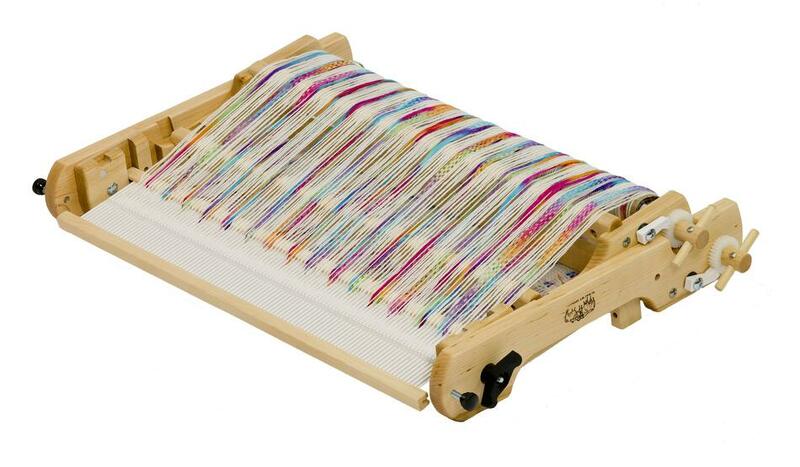 25 in weaving width. 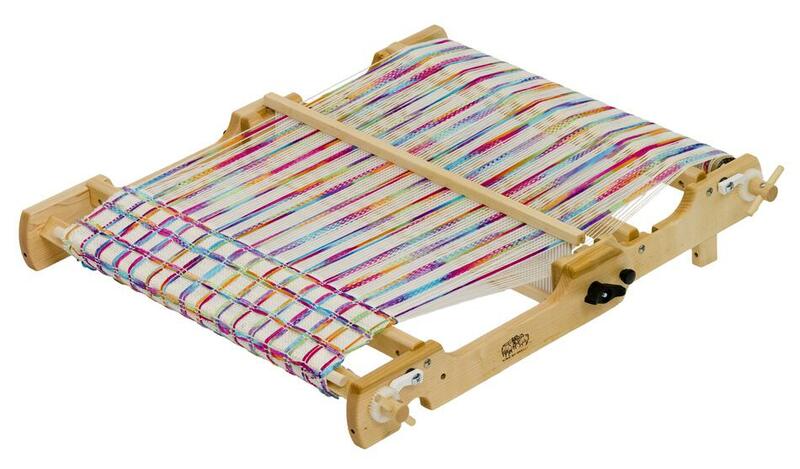 Comes with 10 dent reed, warping peg, 2 shuttles, threading hook, and complete warping and weaving instructions.